The fifth annual Milwaukee Fine Furnishings & Fine Craft Show will be held Oct. 1-3 in The Garage at the Harley-Davidson Museum in Milwaukee. The show features handcrafted furniture, furnishings, fine art and crafts for sale, order or commission from approximately 75 exhibitors from across North America. While almost half of the exhibitors are from Wisconsin, the show will also feature artisans from Illinois, Michigan, California, Indiana, Maryland, Maine, Minnesota, New Jersey, Ohio, Texas, Utah and Vermont. 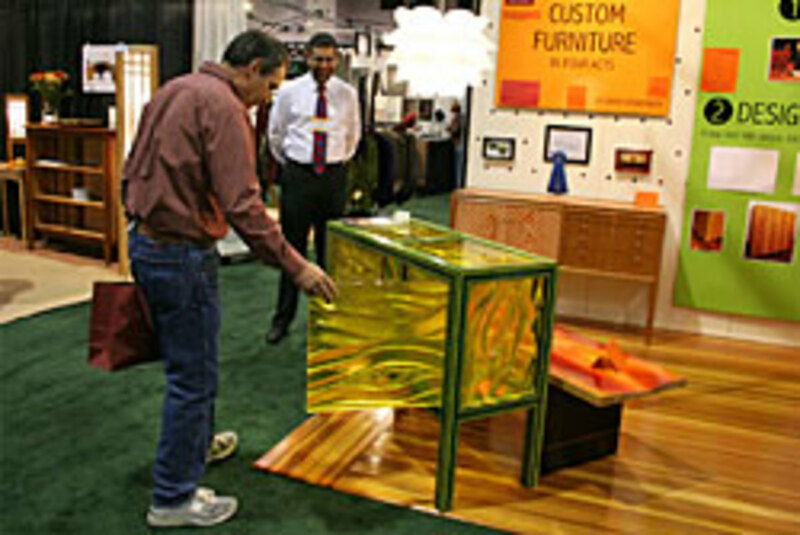 Members of the Chicago Furniture Designers Association are participating as part of a 400-sq.-ft. collaborative booth exhibition. In addition, three association members will have their own booths, including Frank Lloyd Wright&apos;s great grandson, S. Lloyd Natof. The show also welcomes the return of Sawbridge Studios, a retailer of handcrafted American furniture and accessories, based in Chicago.